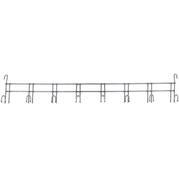 The wall blanket rack is 41” long and comes out 6” from the wall. 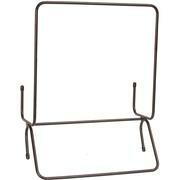 This collapsible blanket rack folds flat and neatly when not in use for easy storage. These 8” tack hooks are vinyl coated and rust free. The hangers are flat in order to fit over rail. 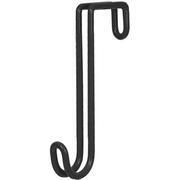 This 8" zinc plated tack hook can be used in any trailer or barn for an extra place to hang your blanket or tack. 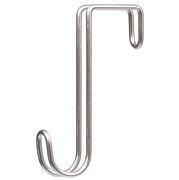 The Mustang 10 hook tack hanger is made of heavy gauge zinc plated steel. The rack is made of heavy gauge gray powder coated steel wire for durability. 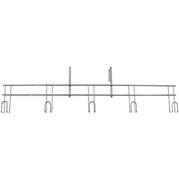 Bridle rack measures 48" long with 10 hanging hooks. 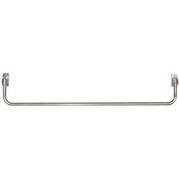 The Mustang 5 hook tack hanger is made of heavy gauge zinc plated steel. 31” x 3 1/2”. A perfect stable storage solution. 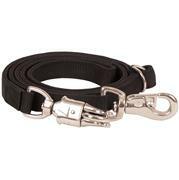 The Mustang bucket strap is designed for attaching to fence rails, stables, or horse trailers. It has a 1" nickel plated snap and loop on both ends. This trailer tie is poly with a B.P. bull snap at one end and a B.P. panic snap on the other. It measures 32" and built to last. The Mustang tie is adjustable from 20"to 27". It features a flat nylon with nickel plated bull snap and panic snap. 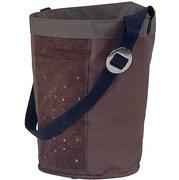 The Mustang hay bag is very functional. The edges have been reinforced for longevity and the rings at the top allow you to attach a two-sided trigger snap. 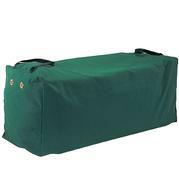 This Top Load Hay Bag features a top flap with Velcro so hay can't easily come form out of the top. 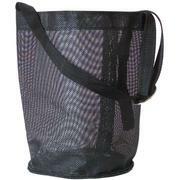 It also has long adjustable straps with snaps that makes it easier to hang almost anywhere. 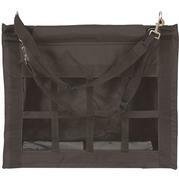 This Mustang Cordura Hay Bag is made of 600 denier poly shell, round feed hole with inner liner, and mesh gussets for cleaner feed. 600 denier ply shell with web handles and brass eyelets. It fits most compressed hay bales. Holds up to 75 lbs. 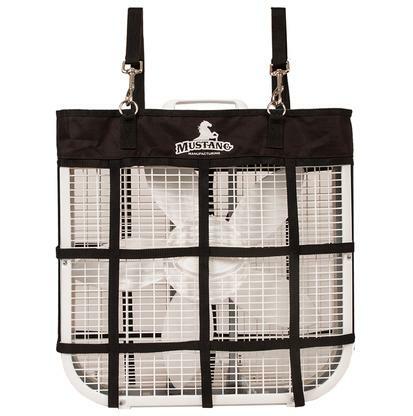 This space saving fan bag will help keep you and your horse more comfortable. It holds a standard 20 x 20 box fan (not included) without adding a lot of extra weight. 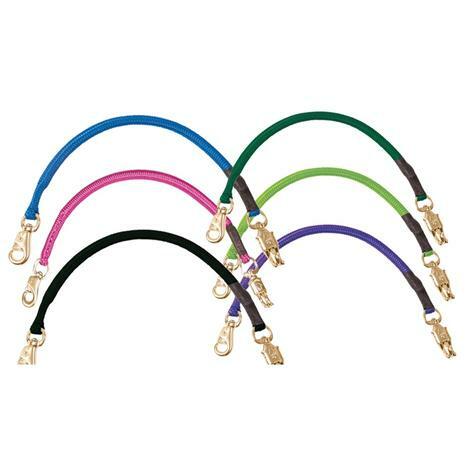 The straps are adjustable and the bolt snaps are nickel plated. 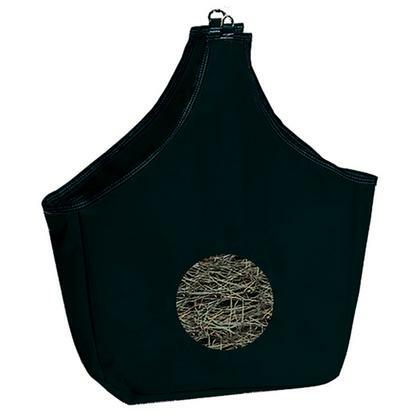 This bag fan holder is completely portable, making it ideal for traveling to events. This is a Mustang black coated metal box fan holder with rubber stoppers. This box fan holder will securely fit over stall walls and rails to hold the fan in position. 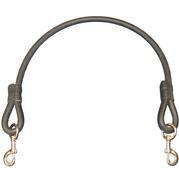 This 36” Mustang stall tie is a heavy 3/4” solid rubber with brass bolt snaps at each end. 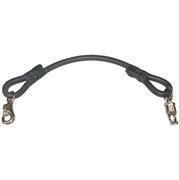 The 1" Mustang poly tie adjusts from 44" to 80" with a panic snap on one end and a bull snap on the other. 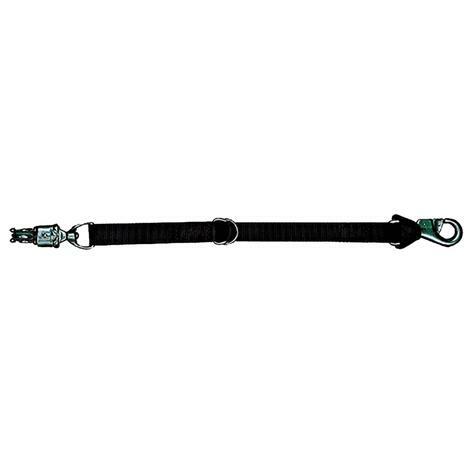 The Mustang Rubber Stall Tie is a 3/4" x 30” rubber trailer tie with a panic snap on one end and a bull snap on the other. The Mustang Canvas Feed Bag is lined with vinyl on the inside. 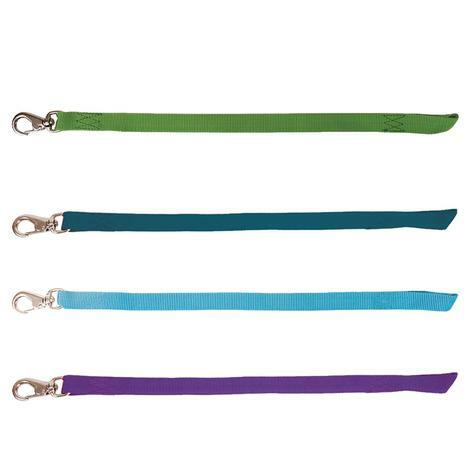 It has a heavy buckle, 1" strap and is well ventilated to provide more oxygen during feeding. 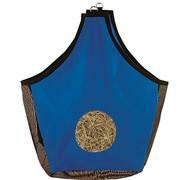 The Mesh feed bag is designed to allow dust to escape through the mesh to give a cleaner feed to your horse. Your horse will love you for it.